Save Money for your business by reducing your fleet insurance costs. There are a number of steps fleet managers can take to try and minimise their insurance costs. 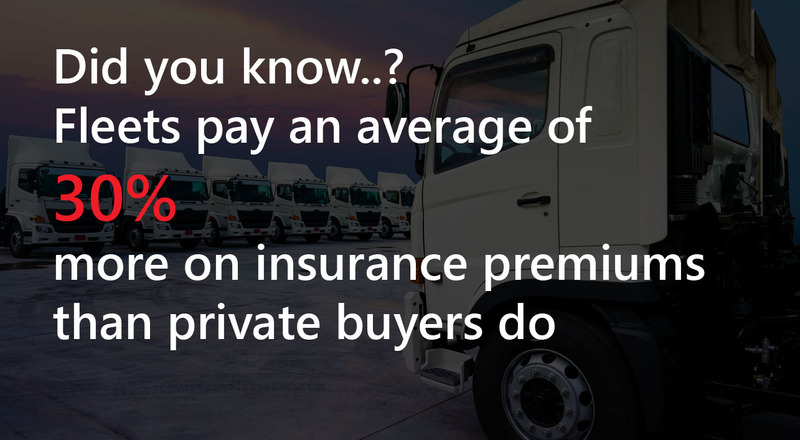 For example, with claims costs often accounting for a substantial percentage of fleet insurance, one of the most effective ways to drive down premiums can be to reduce your fleet accident rates. The first step to driving down insurance costs is to know your starting point. As with any major fleet issue, data is your friend, so ensure that you have plenty of relevant, accurate information to hand. Talk to your insurer and find out about their view of your accident history, how it compares to other fleets and in which areas it may be improved. Using your own information, compile reports about the type of incidents that have taken place, the factors that caused them and whether any common issues can be identified. And don’t just look to the past – ensure that in future you are recording comprehensive information about all the incidents that take place in your fleet (not just those that generate claims). Good drivers cause fewer accidents – and that of course leads to lower premiums. As part of your duty of care, you should already have extensive risk management measures in place that cover your drivers. These should include regular driving licence checks to ensure that drivers have disclosed any convictions. You should especially take note of potential risks such as high mileage and younger drivers. Here, you are essentially trying to identify individuals and groups that are increasing your accident rate, so take a good look at the data that you have available and try to spot patterns. (Fleet management software can be one useful way to pull data together and compile trend reports). Additionally, get your drivers thinking about safety. A simple and effective idea is to regularly issue useful accident reduction and safety tips to drivers. You could for example institute a series of escalating measures to encourage them to be more safety-conscious on the road – measures such as online driver training or even in-car tuition can be very effective. There is a whole range of technology available that can help to improve your accident rate. Outside the cab, fleet & asset information management software provides a comprehensive solution that can enable you to gather information and analyse it in a thorough and useful manner, creating relevant reports for both you and your insurer. This is the point at which insurers will start to consider bringing down costs. So before you renew, gather as much information as possible to show the strides you are making and ensure that you are keeping an ongoing dialogue in place with your insurer.